The Alfa Romeo 185T is a Formula One car that Benetton Team Alfa Romeo used during the 1985 season. The car was entered in 8 races, but without any success and suffering from poor reliability, the team returned to the previous year's car, the 184T, uprated to "184TB" specification. 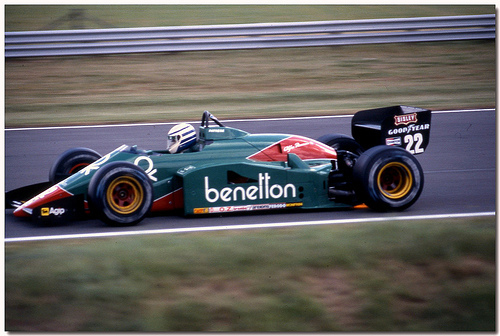 The 1985 season was the last one for Alfa Romeo in Formula One. This car had a 1.5 L turbocharged V8 engine which produced around 780 hp (582 kW) at 10,200 rpm. In an interview he gave in 2000, Riccardo Patrese described the 185T as "The Worst Car I ever drove". Last updated on 9 August 2013 at 13:52.